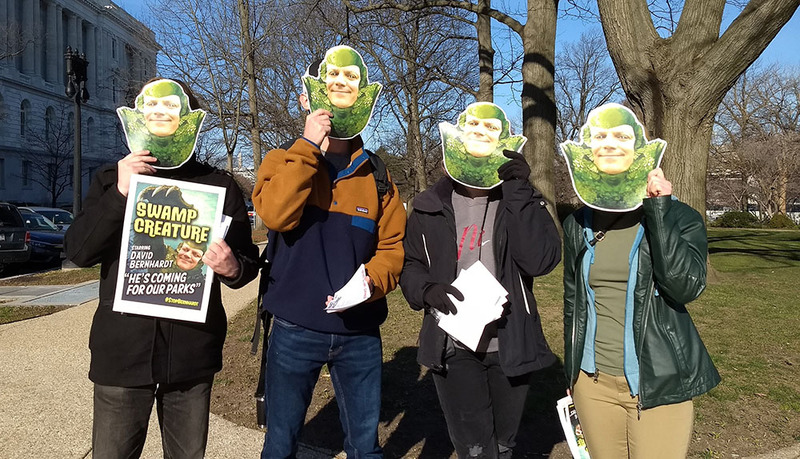 Last week we organized to oppose President Trump’s nominee to serve as Secretary of Interior. David Bernhardt, a former oil and gas lobbyist and lawyer with extensive conflicts of interest, has used his position at DOI to harm America’s public lands, waters and wildlife and gut some of the nation’s landmark conservation victories at the behest of corporate special interests. This Swamp Creature is the essence of the Trump administration’s culture of corruption and is unfit to lead the department. The former fossil fuel industry lobbyist has so many conflicts of interest that he carries a list of them on a card. Oil and gas industry executives have “direct access” to the Trump administration through Bernhardt, who since his first day on the job has worked to undermine environmental regulations that threatened industry profits. He suppressed a report by his agency’s own scientists that detailed significant risks posted by several pesticides to over 1200 endangered species. He weakened the same endangered species protections he had lobbied against for a former client in order to benefit that client. 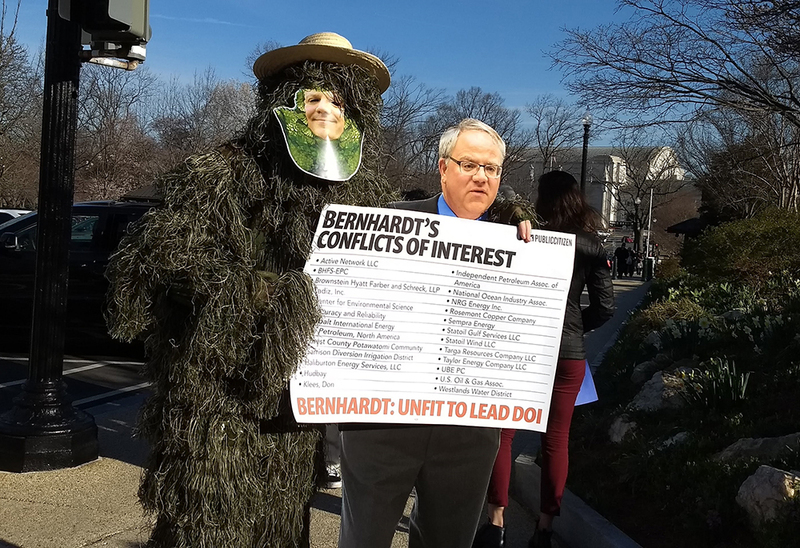 Clean Water organizers were joined by a swamp creature and other protesters to highlight Bernhardt’s stunning conflicts of interests and unfitness to serve as America’s steward of public lands. “David Bernhardt is the essence of the Trump administration’s culture of corruption; he truly is a Swamp Creature,” said Brent Bolin, Political Director of Clean Water Action. 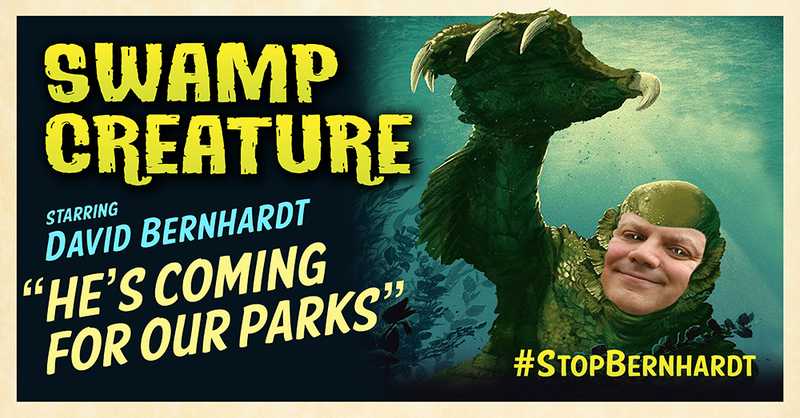 “Bernhardt is everything that is wrong with Washington, his years of lobbying on behalf of the oil and gas industry should disqualify him from ever stepping foot inside the Department of Interior.